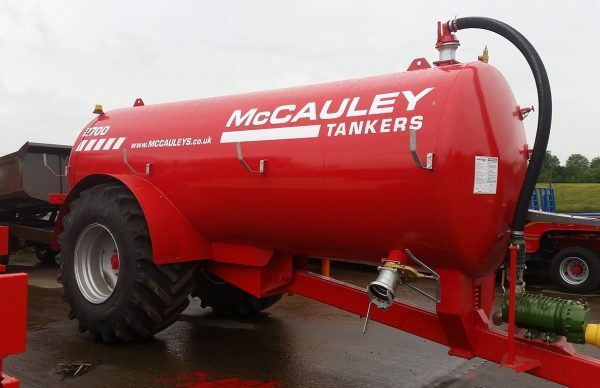 McCauley Trailers has established itself as a producer of high quality and durable trailers for use with agricultural vehicles. 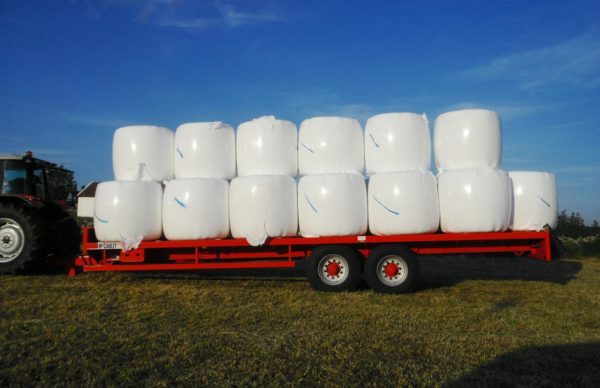 We supply trailers to a wide range of companies in the industries of agriculture, construction, forestry, waste handling, quarrying, transportation and public utilities. The range includes Low Loaders, Dump Trailers, Flatbed Trailers, Tipping Trailers, Grain Trailers, Turntables Low Loader & Flatbeds, Dropside Trailers, Hooklift Trailers, Forestry Trailers, Livestock Trailers & Farming Equipment. McCauley Trailers manufacture a robust range of agricultural Low Loaders for the transportation of various types of cumbersome machinery, plant and equipment effortlessly. McCauley Trailers also manufacture General Purpose Dump Trailers with carrying capacities from 12 to 16 tonnes gross. McCauley Trailer's range of agricultural Forestry Trailers is used for the efficient and safe transportation of logs and forestry machinery. McCauley Flatbed Trailers are used by farmers and agricultural contractors for the efficient transportation of bales and potatoes. 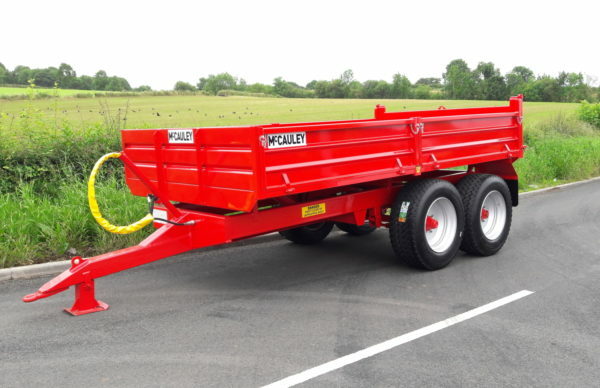 McCauley Trailers have developed a range of Turntable Trailers specifically for the European market. 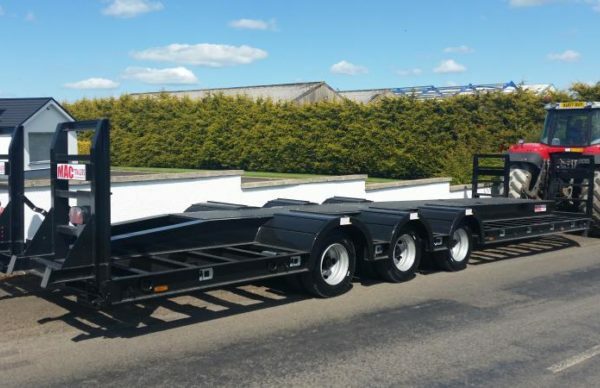 McCauley Trailers Half Pipe Tipping Trailers were developed specifically for the European market and come with high specification as standard. 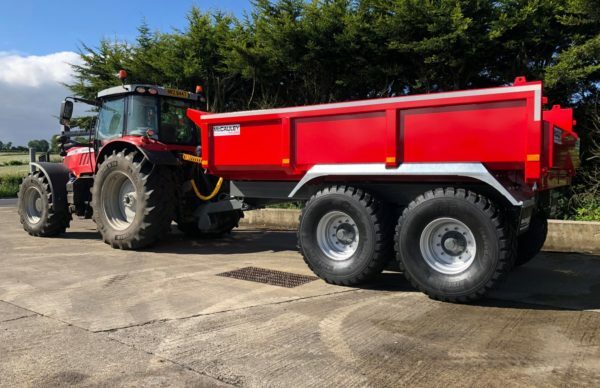 McCauley Dropside Trailers are a highly versatile trailer that can be adapted to suit any application - grain, silage, bales, stone, gravel, manure, etc. McCauley Slurry Tankers are built to the highest standard with implosion rings to give maximum support and are available in a variety of sizes ranging from 1150 gallon to 2700 gallon. 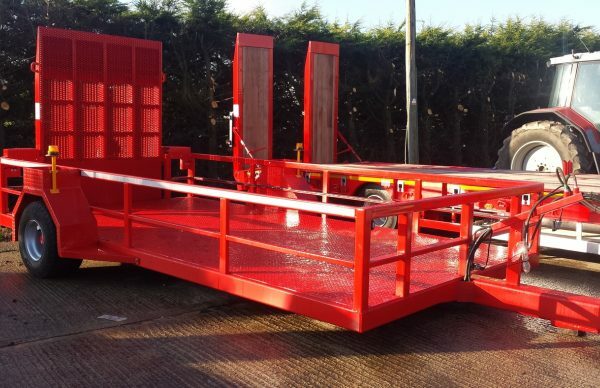 With our in-house design team we specialise in the customisation of trailers to suit individual requirements and work closely with our customers to supply the exact trailer you may require.